The Kindness Project began in 1996 as a way for families to honor their deceased child and to help themselves heal. Now, years later, almost 2,000,000 (yes, two million!) 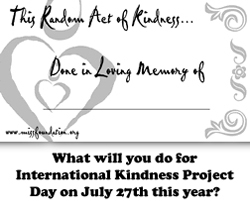 Kindness Project cards have been used around the world to perform random acts of kindness in memory of a child, parent, friend, or spouse who died before their time. The idea is to perform random acts of, usually anonymous, acts of kindness in your community. A little card is left behind so that the person who benefits from the kindness knows that someone’s life and death continues to matter. 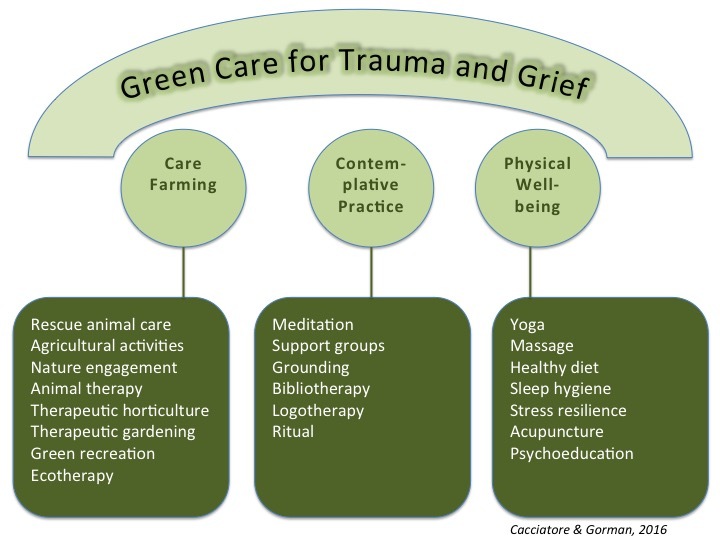 This beautiful movement has helped thousands of families to heal and find positive outlets for their overwhelming grief. Dr. Joanne Cacciatore’s daughter, Cheyenne, died in July of 1994. It was the worst day of her life. She says how she never imagined herself laughing or experiencing joy again. Dr. Jo began to seek out ways to keep Cheyenne’s memory alive within her family and to the rest of the world: She wanted to create a quiet legacy. She wanted people to know that Cheyenne existed and, more importantly, she wanted to help change the lives of others because of her presence on this earth. The Kindness Project blossomed out of the extraordinary experiences Dr. Jo had while doing things for others. She discovered that truly miraculous things happen to our spirits when we reach out to help others, and so she sought a way to share that movement with others. It is our hope that through the Kindness Project, we can make incredible transformations within our communities, in our families, and in ourselves. Just imagine if every person touched by death would participate in helping to transform the world into a gentler and more altruistic world! What an impact this would have on so many levels! The Kindness Project reminds others that our children, and other loved ones, are so very important to us that we are willing to extend the life and love of our child and share it with others! It is a legacy that transcends death. It is a legacy of love. Thanks to all who participated and shared stories from previous Kindness Project Days. We’re excited to provide this free Kindness Project Day eBook to you to share photos, stories, and ideas for Kindnesses previously done and to inspire you to do future Kindnesses in the world in honor and memory of your loved ones. Here’s to remembering all your children through the creation of a world that becomes more and more kind with every single kindness action taken by each of us! 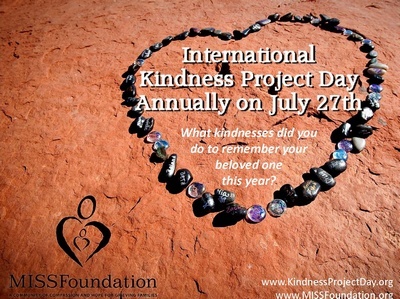 Let us know about your Kindness Project any day of the year. Email info@missfoundation.org. Type in “Kindness Project” in the subject line. Participate in memory of anyone from anywhere anytime! You can participate in the Kindness Project every day of the year! On July 27, International Kindness Project Day, we invite people around the world to come together in one unified day of kindness in their memory. where you can print, spread kindness in their memory, and don’t forget to share forward on your social media platforms!